Most people reading this blog will now know a bit about Interest Rate Hedging Products, so I do not intend to give any explanation about them here, but search this site or www.rateswapadvice.co.uk and you’ll find plenty of basic information. The FCA Review into past business sales of interest rate hedging products was formally announced in 2012 with a pilot scheme being reported on in March 2013. “All nine banks have now completed their sales reviews of customers who joined the review before March 2014 and have delivered redress letters to all but a handful of these customers. The banks have now sent 16,000 redress determinations to customers, 13,500 of which include a cash redress offer and 2,500 confirm that the IRHP sale complied with our rules or that the customer suffered no loss. Concerningly, of 30,000 businesses included in the review, there have only been 7,699 offers of redress accepted including 8% interest for “consequential losses”, not all were for a full tear up. The offer was offensively low so not to be accepted. Some businesses didn’t have any identifiable consequential losses. One client of mine did so well in triple figure percentage increases in turnover and profit that the IRHP was not really noticed and so the full payment plus interest was acceptable. But I am starting to see either “no offer above 8%” or offers that having considered the consequential loss report submitted, the bank offer something far too low. I’ve had £500 offered for £100,000 claim, and £34,000 offered for a £400,000 claim. So what are your options when faced with a position like this? In reality, the FCA have stated that they believe in most circumstances 8% interest (simple not compound like the banks charge you) is more than enough to compensate. However, if you can show with proper independent reporting that the cause and effect of the IRHP was much more, then you should be able to claim those consequential losses. There are of course several companies offering to prepare forensic accounting type reports and the purpose of this article is not really to discuss those outfits. However, there is a legal and factual test to be met in terms of consequential losses. It is just a real shame that the Banks’ application of the test is rather one sided. Its almost as if it’s in their best interests to minimise payments out – shock horror. The only real option you have to a unacceptable consequential loss review offer is to refuse it and litigate. The Banks are however being crafty, as you might expect, and many of the provisional basic redress offers were worded to preclude claims being brought. The Banks lawyers will also point to a case such as Clark v In Focus Asset Management (http://www.bailii.org/ew/cases/EWCA/Civ/2014/118.html) and Binns v First Plus (http://www.bailii.org/ew/cases/EWHC/QB/2013/2436.html) to seek to align the FCA review as if it were a previous determination and suggest that you should not be allowed to continue with any claim. In my view, assuming you are not time barred from bringing a claim (i.e. that you have a standstill agreement or stay in place), the only option you have is to litigate. Litigation comes with huge risks. The Banks will outspend you. They will bully you and they will push you further than you comfortably want to go. There are now a couple of decisions which make it plain that IRHP swap litigation is not a cut and dried win. You will be reminded that if you lose, you will have to pay the Bank’s costs which range between £150,000 and £410,000 on the matters I’m dealing with. But, in most cases I’ve seen there are genuine consequential losses which should be recoverable and it is not acceptable for the bank carrying out its own decision to say that the economy was down and so your turnover was and that is the reason you incurred the overdraft, the charges, the special measures/GRG/West Register etc etc. You need to be prepared for the fight. Know your figures. Get your account to help and if they are not able to produce a forensic analysis, then get a professional onboard to help you. As for litigation, if you have not started yet then the sooner the better if that is the route you decide to take. 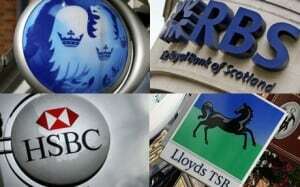 I can gladly help in IHRP claims and have vast banking and financial services litigation. AS ALWAYS, THIS ARTICLE IS INTENDED TO REFLECT THE AUTHOR’S OWN OPINION. IT IS NOT THE FIRM’S OPINION AND NOR IS IT INTENDED TO REPRESENT LEGAL ADVICE. YOU SHOULD ALWAYS SEEK YOUR OWN INDEPENDENT LEGAL ADVICE SPECIFIC TO YOUR OWN CASE’S FACTS AND CIRCUMSTANCES BEFORE LITIGATING.